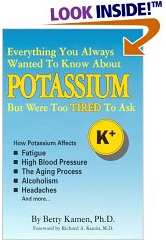 Potassium is a vital mineral, which helps normalize the heartbeat, sends oxygen to the brain and regulates your body's water balance When we are stressed, our metabolic rate rises, thereby reducing our potassium levels. Hyperkalemia is a common condition; it is diagnosed in up to 8% of hospitalized patients in the U.S. Fortunately, most patients have mild hyperkalemia. It is important to treat the condition causing hyperkalemia to prevent it from progressing into a more severe hyperkalemia. True hyperkalemia is a serious and potentially life-threatening disorder. Severe hyperkalemia results in a mortality rate of about 67%.